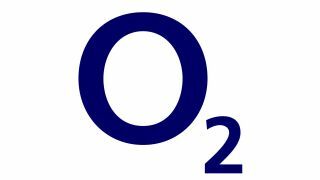 O2 customers, dismayed by two high profile service failures in the last few months, will be even less enthused to hear their monthly tariffs are going up. The network has announced that contracts prices for existing users will be going up by 3.2 per cent as of February next year. Users on one of the company's £36 a month contracts (with 1GB data, unlimited texts and minutes) will be paying £37.15 on their first bill after February 28. "We've always done everything possible to give you great value. And keep your bills down," the company said on its website. "To date, we've held off putting our tariff prices up for as long as possible. Even when our competitors raised theirs. But now, because of inflation, we need to change the price of your tariff." Within the O2.co.uk/prices page, the company claimed it was within its rights to raise the prices on existing users under Clause 5 of their service contract. This piece of small print gives O2 the right to adjust prices, providing it gives customers 30 days notice and means that users don't have grounds to cancel their contracts due to the price hike. The company is still attempting to repair the damage caused by two lengthy service interruptions in July and October and was forced to hand out a substantial compensation package for the former. With that in mind, it's an interesting time for a price hike, especially with EE's massive 4G leg up.